With interactive displays, virtual reality and mobile apps dominating conversations around museums of late, it’s easy to take the traditional artifact for granted. We’re told personalization and customization are the keys to engaging new audiences and retaining existing ones. And while that’s certainly true to an extent, there’s a lot to be said for the artifact. I recently visited three Chicago-area museums expecting their “new media” efforts to be the most interesting. I was wrong. Below are my three most compelling moments, as well as a few ideas for how these organizations can complement their impressive physical collections with digital technology. 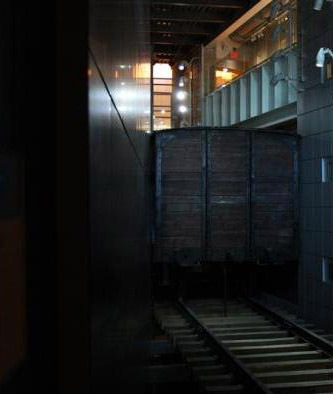 The weight of history is heavy in the Illinois Holocaust Museum — and there is nothing more powerful than the museum’s railcar. Standing inside the splintered wood planks, feet standing where thousands of shoes stood before, you don’t just mentally understand the horror of the Holocaust. You feel it. While no replacement for the original artifact, digital could give increased context to the plight of the Jews, gypsies and other victims of Nazi persecution. A reflection area with digital guestbook may invite today’s visitors to further connect with those who are gone; 3-D projections of survivors could further evoke the terror, tragedy and, in some cases, triumph of humanity. UPDATE: As I was working on this post, the Illinois Holocaust Museum announced this! Recently, the Art Institute of Chicago exhibited “Van Gogh’s Bedrooms,” and I was lucky enough to attend the show not once, but twice. 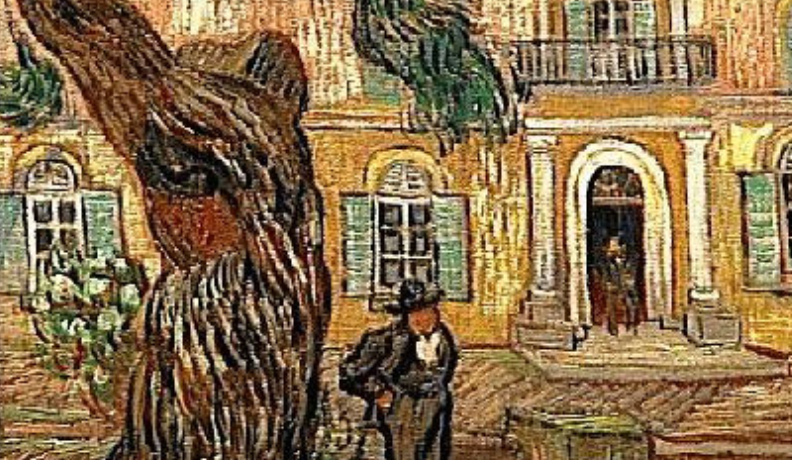 While initially attracted by the central conceit (the reunion of three very similar bedroom paintings created in his tumultuous final years), I found myself increasingly drawn to a single painting: that of Van Gogh’s subsequent home in 1889, an asylum in Saint-Rémy-de-Provence (seen in the image at the beginning of the article). The vibrancy of the colors and balance of technical control and chaos seemed to mirror the man himself. Original art is impossible to replicate. Knowing it was the artist’s hands who stretched the canvas and applied the paint. That it was his (or her) eyes that saw the vista now shared with us. Though impossible to replicate with ones and zeroes, the painting could be complemented by a location-based app to display authorial, artistic and cultural context. An augmented-reality program (via screen or Google Glass-type apparatus) could lay relevant information on top of the painting itself. The glasses of Nathan F. Leopold Jr. may be the biggest “smoking gun” in Chicago crime history (without actually being a firearm). In 1924, two well-to-do youths from the city’s Kenwood neighborhood decided to kill a boy merely for the thrill. One of the perpetrators — Leopold — accidentally dropped his eyeglasses where he and partner Richard Loeb disposed of their victim. It was this key piece of evidence that linked the boys to the seemingly motiveless crime. In this case, digital media would be of great assistance giving context to the time in general and the crime itself. For a relatively small financial investment, users could surf PDF’d copies of the 1924-5 Chicago Daily News on iPads, allowing contemporary audiences to witness how pervasive coverage of the crime was in Roaring Twenties society. With a larger investment, the Chicago History Museum could populate large digital screens with audio of the psychologist’s testimony, photos in evidence, re-enactments of Clarence Darrow’s famed death penalty defense, maps of the crime scene and more. What excellent examples of digitally augmented exhibitions can you think of? Let me know in the comments. I’d love to see more of it in practice.